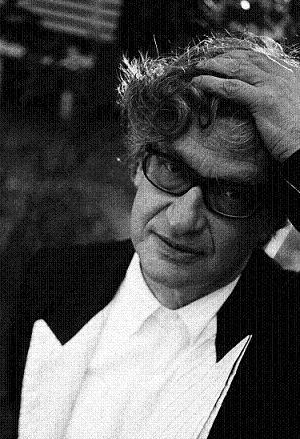 Lesley Gilb Taplin interviews Filmaka Jury member Wim Wenders about the importance of locations and how they are reflected in his work. 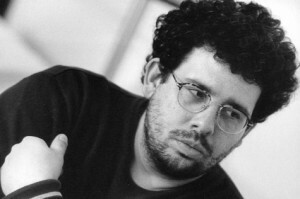 He also talks about his two latest films shot in the Los Angeles Art District. WW: We certainly didn’t disturb anybody. We didn’t even stop traffic, but went with whatever happened in the streets. Which wasn’t easy. This was NOT a documentary, but a fictional story. Actually, we were treated very friendly by the locals, the residents as well as the homeless. I remember one guy looking out of his tent, shaking his head: “Man, you ARE low budget!” I feel we were able to capture the atmosphere of Downtown LA much better with our small unobtrusive digital equipment than any film camera would have ever allowed us. During the panel, I spoke about how I started making my films with family members, my friends and now how I reach out to the incredibly talented and skilled professional cast and crew who I love to collaborate with. I emphasized my commitment to creating the best work I can no matter what. You know what I mean? I mean literally “no holds back” to make sure I’m creating something that really is a contribution…aesthetically, emotionally, viscerally. Creating art. I believe it is this very commitment that has enabled me and the other writer/directors showcased at this event to “stand out from the crowd”. My deepest gratitude goes out to Filmaka Community for creating opportunity for me and my fellow filmmakers to do what we love to do, make films. Filmaka members Varda Hardy and Ian Allen Lim have been selected for SHOOT magazines “New Directors Showcase.” They flew to New York to participate on a Panel with other up in coming directors and Varda tells us all about it! I noticed Filmaka’s Jason Haikara’s Facebook Posting announcing Shoot Magazine’s “New Director’s Showcase”. Filmaka member, Jonathan Newman had been selected to be showcased last year and good things came to him from this honor, so I paid attention to Jason’s posting. I submitted two of my projects “Race to the Sky” and “What Kind Of Planet Are We On?” just making SHOOTS’s deadline by the skin of my teeth. Two weeks later, when checking my e-mail, I discovered a note from Roberta Griefer, publisher of SHOOT Magazine. When I read it, I actually gasped. Roberta was congratulating me on being selected for SHOOT’s New Director’s 8th Annual Showcase. Wow! “SHOOT” is a highly respected advertising/commercial production industry magazine and since I very much want to make commercials, I found this honor especially exciting! I flew to New York for this event and was accompanied by LiveTribe Productions Executive Producer Karen Lavender and Producer Jamie Bullock both of whom play key roles in many of my projects including “What Kind Of Planet Are We On?” which was screened as part of this event. Kate Salvino representing Current Content Creation (whom I’ve recently signed with) also flew in from L.A.. Between the three of them, I was surrounded by smart & beautiful company. …Stay Tuned for Part 2! SNICKERS® Challenge winner Brett Wagner was in NYC for the Tribeca Film Festival and had a chance to speak with BBDO’s award-winning creative directors and creators of the current “You’re Not You When You’re Hungry” campaign. Meeting to discuss his green-lit SNICKERS@ pitch, the group posed for a quick photo. 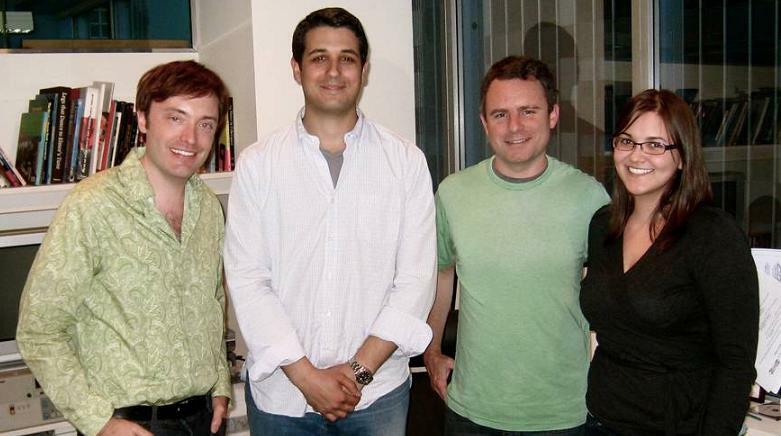 Shown from left to right are: Brett Wagner, Filmmaker; Gianfranco Arena, Creative Director/Art Director; Peter Kain, Creative Director/Writer and Courtney Lord, Account Director. The other winners are Azhur Saleem, Brenden Clark (for two different pitches) and Bragi Schut – their films will be entering production in the coming weeks. Congrats to all the winners and runners-up! Filmaka founders and independent film producers Deepak Nayar and Thomas Augsberger will be busy on the Riviera the next two weeks. 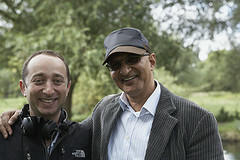 Deepak will be generating interest for his latest movies, Filmaka’s SWINGING WITH THE FINKELS and FOSTER, both directed by Filmaka member Jonathan Newman while Thomas will be working on distribution deals for one of his clients, Munich based Tele Muenchen Group, which is owned by Filmaka jury member Dr. Herbert Kloiber. Also heading to Cannes are Filmaka award winners Brett Wagner, Rudolf Buitendach, Luca Immesi and Giulia Brazzale. We’ll have more details about their trip in the coming days as well as Cannes-related announcements about some of our other members. If you are attending Cannes or have films screening or in competition, shoot us an e-mail at info@filmaka.com – We’d like to share your news with the Filmaka community. What would you do with a million dollars? Probably make a film right? Well hold your horses! Filmaka has teamed up with Discover for a brand new branded competition. Pitch us your ideas for a 2-3 minute film that depicts how winning one million dollars would change someone’s life for the better, and you could win $ 15,000 USD. The finished films will be used to support Discover Card’s Everyday Giveaway where one lucky card user wins a $ 1,000,000 USD grand prize. That means that winning films will be seen by millions of people across a host of mass media outlets – online banners, pre-roll, in-store, and on TV. All pitches must be received by Sunday, May 2nd at MIDNIGHT PST. Go to Filmaka.com to find out how to enter! Varda Hardy has done it again. “What Kind Of Planet Are We On?” is her new film created for Rock for Equality Campaign. It has been selected by YOUTUBE & Honorable Judges as one of the top 16 finalists (out of 750) for best and most innovative non-profit videos on YOUTUBE! For the next 7 days, the public is invited to vote on the top four videos which will then be posted on the youtube home page! Filmaka is teaming up with Ford again to promote their new car the Ford Fiesta. Ford and their agency Team Detroit are in the process of bringing the Ford Fiesta stateside. As part of the successful social and viral campaign, The Fiesta Movement, “agents” have been selected in 16 US markets to bring the new Fiesta into their lives, complete several missions, engage their local community and share their experiences, both online and offline, with all of us. These Agents are looking for Filmaka members to help them bring their short film to life! It is up to you and the agents to create a short film about the ford fiesta in your city. Every filmmaker that is chosen to participate will be provided a production budget of $5,000. Filming begins May 1st and the finished movie will be screened on or around May 25th. All of the finished movies will premiere in the same city which the film was shot starting on or around May 25th. This film premiere will be the cornerstone of a customized local event that launches the Ford Fiesta in the United States. You will also have the chance to go to a Hollywood premiere if your team’s film wins the grand prize. In addition to the production funding and Hollywood premiere, you also have the chance to win $10,000 if your team’s film is chosen as the best of the best. Second Place will receive $5,000 and Third Place $2,500. You must upload your pitch by SATURDAY, MARCH 27th! The quicker the better!